Twitter summary: Diabetic neuropathy is a common complication of diabetes – learn about the warning signs, prevention, and possible treatments. Neuropathy is one of the most common complications of diabetes. It occurs when the nerves are damaged and it can result in pain or numbness. While neuropathy can affect all parts of the nervous system, the most common form is diabetic peripheral neuropathy (DPN), which causes pain or loss of sensation in the arms, hands, legs, feet, and toes. Importantly, most cases of DPN are completely asymptomatic, and often the problem is that people develop foot ulcers or secondary infections before they realize that their nerves have been damaged. The exact causes of neuropathy aren’t well understood, but it occurs most often in people who have had high blood glucose levels over long periods of time or who are overweight. High blood pressure is also often linked to neuropathy. Diabetic peripheral neuropathy (DPN) is not a homogenous disorder. It does not have a single presentation and can have a multitude of different sympotoms. Some people experience symptoms of DPN as a tingling or “pins and needles” sensation; burning, stabbing, or shooting pains; and/or feelings of numbness or weakness, even during physical activity (a full list of symptoms is available on the ADA website). DPN often affects the feet, and it can actually change the physical shape of the foot, as damage to the nerves causes the muscles in the feet to become weaker and the tendons to shorten. Carpal tunnel syndrome is also a possible side effect of DPN in the forearm and the hands, and this can contribute to feelings of pain or numbness. For many people who suffer from painful DPN, the symptoms can interfere with sleeping, working, and their everyday lives, as well as lead to further complications. How can neuropathy be prevented? Neuropathy is often referred to as a complication of diabetes, but as Mark Yarchoan explained in diaTribe #40, that isn’t totally accurate. It is a complication of high blood sugar, which means the rate of neuropathy falls dramatically with improved glucose control. The damage to the nervous system that leads to neuropathy is strongly correlated with A1c levels, and the Diabetes Control and Complications Trial (DCCT) found that returning glucose levels to as close to normal as possible reduces the risk of neuropathy by as much as 60-69%. Even after neuropathy is diagnosed, tight glucose control can slow down the progression of the disease and sometimes reduce the symptoms for some people. It is important to note that healthcare providers can oftentimes misdiagnose DPN - peripheral arterial disease, claudication, Morton's neuroma, and osteoarthritis are all common misdiagnoses. Speak with your healthcare provider if you feel that you may have been misdiagnosed. The National Institute of Diabetes and Digestive and Kidney Diseases (NIDDK) lists some other steps that can be taken to either prevent or slow down neuropathy. In terms of lifestyle, it’s a good idea to limit alcohol consumption and not to smoke (and these have plenty of other health benefits anyway). Taking care of your feet is crucial to controlling DPN. The NIDDK recommends washing feet in warm water every day; performing daily checks for cuts, blisters, and other potential issues; rubbing lotion onto feet to prevent dryness; and wearing socks, shoes, or slippers to prevent blisters and injury. Ultimately, awareness and prevention are critical to managing neuropathy. If you sense any problems with your hands, arms, feet, legs, stomach, bowels, or bladder, it’s a good idea to tell your healthcare provider. Slow-healing sores and feelings of dizziness when sitting or standing can also be warning signs of neuropathy. Getting screened regularly can make a significant difference, even if you don’t detect any symptoms, since most cases are asymptomatic. It’s also a good idea to ask your healthcare provider to use monofilaments to test for signs of DPN, as these can detect reduced sensation in the extremities. Neurometrix also produces the DPNCheck, a device that measures nerve conduction and can be used for the early detection of DPN (you can learn more at www.dpncheck.com). What treatments are available for DPN? There are no drugs currently available to treat the nerve damage caused by neuropathy. That may soon change, as Cebix is developing Ersatta, which could be the first drug to reach the market that may slow or prevent the progression of DPN. Ersatta is a long-acting form of C-peptide that has the potential to reduce the chronic complications of diabetes (including damage to the nerves, kidneys, and retina). It has now been granted fast track status by the FDA in treating diabetic peripheral neuropathy and we look forward to seeing the outcome of trials testing its safety and efficacy. It has been very challenging to find effective treatments for the symptoms of DPN, although in the past few years, the FDA has approved some medications and devices to help address this need. Currently, three medications are approved to help manage the pain, although none of these drugs was actually developed with DPN in mind: Eli Lilly’s Cymbalta (duloxetine) is an antidepressant; Pfizer’s Lyrica (pregablin) is an anticonvulsant; and J&J’s Nucynta ER (tapentadol) is a chronic pain drug. All these drugs treat pain in the body in fundamentally different ways, and this means that someone may find little success with two of the drugs but considerable relief with the third. The nervous system is complex, and one person’s DPN may require very different treatment from someone else’s. On the device front, Neurometrix’s Sensus Pain Management Device was approved last year to help manage the symptoms of neuropathy in the legs and feet. Worn around the calf, Sensus noninvasively transmits painless electrical impulses, which stimulate the nerves, to provide pain relief. 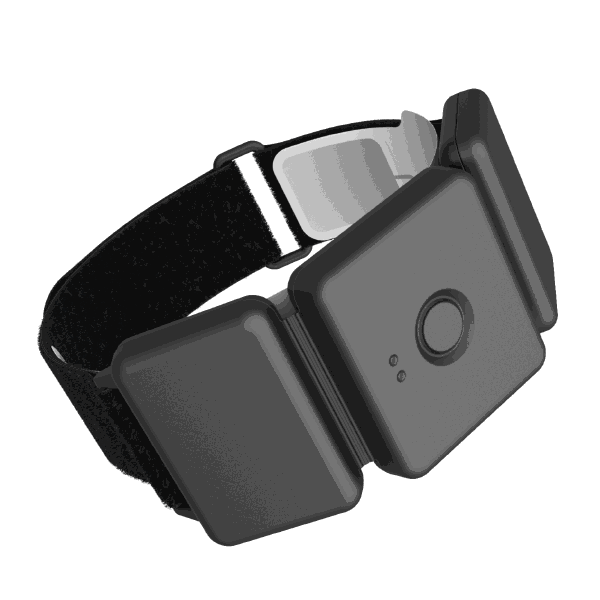 The lightweight device can be worn under clothes, and is approved for use during sleep. Neuropathy can be quite painful and diaTribe looks forward to learning about more alternative treatments that will be available to help with this common complication. The information published in diaTribe is not a substitute for medical advice and should not be used to make decisions that change treatment. We urge readers to consult with professional healthcare providers for questions regarding their treatment and in all matters related to their health.